It was whilst studying Fine Art at the Epsom School of Art & Design that Michael Harding discovered his passion for creating oil paint. Sparked by a curiosity to understand how Rembrandt achieved such a rich consistency in his whites, it could be said that this experiment that has never stopped. 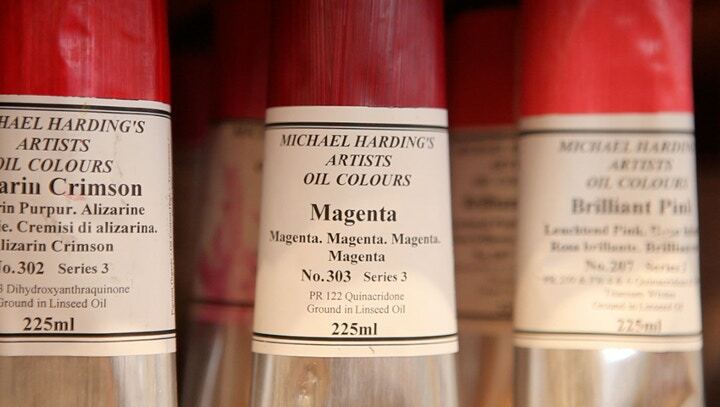 Years later, Michael Harding is a fundamental name in the world of oil paints; he is one of the few manufacturers to make his paints by hand using traditional techniques. The ambition to create materials that are true and vibrant, and paint that is beautiful and durable has proved to be a resounding success. Coinciding with the release of Michael Harding’s new addition of colours we warmly welcome Michael himself to our flagship store in Islington on December 7th where he will be taking us through his new products and methods for making the most of his paints. In celebration of this we’ve launched an exclusive Cass Art mediums package, including 50ml of Michael Harding Oil Medium, Beeswax Paste and Dammar Varnish (worth £12.65). This will be available to buy in our Islington store on 7th December and will be given away for free with any spend of £100 or more! Not only that, but between Wednesday 4th December and Sunday 8th December we’ll be offering 10% off all Michael Harding products – in all our stores and online. First and foremost, it has to be said that your range of paints are gorgeous – what prompted you to expand on the original colours available? After many years of being asked for numerous additional colours I decided that the time was right to add new and exciting oil paints to my range. Customer demand primarily drove the desire to create my new colours. Also, my love for some colours which I privately had my eye on for many years like Rose Madder a wonderfully romantic deep red familiar for centuries to the old masters - spurred me on to make them. Finally, some of my new colours are historically valuable to artists and are important to my range in providing artists with both the historic colours of the Old Masters and the new colours of our ever changing world. The craft of paint-making seems like a combination of science, cookery and wizardry – is this at all similar to what developing the new colours has been like? Sometimes it seems a mystery to me I seem to just put the ingredients together in a way that appeals to me. The result comes out in a way that everyone tells me is wonderful, beautiful. I really enjoy formulating and mixing ingredients to create something of great value to the artist’s eye. Colours like my new Cobalt Teal, a bright turquois with a wonderful freshness - indispensable to the landscape painter -will be demonstrated this Saturday at the Cass Art Islington store. Finally the way in which I formulate and make my colours I want them to “leap” out to the artist and scream “paint with me!”. Do you have any favourites of the new colours? From one artist to another, do you have any mixing tricks and tips? Some of my favourite new colours are Rose Madder which almost mixes itself into a flesh tone in combination with my hand made Stack Lead White. 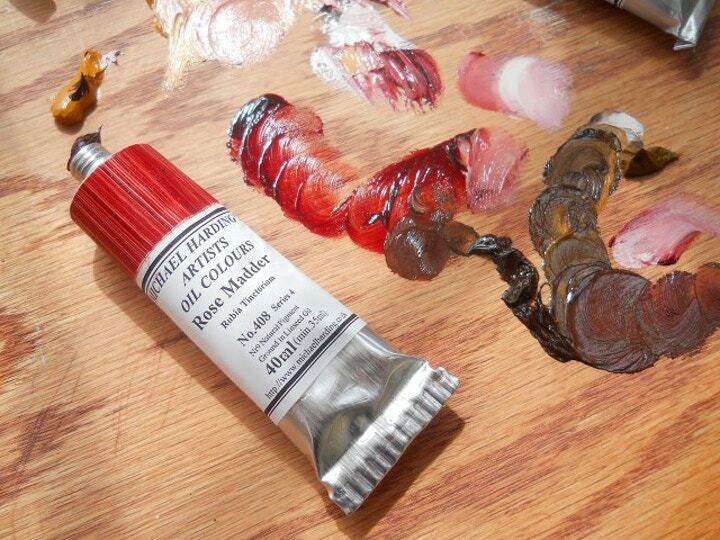 Also, my new French Yellow Ochre and Rose Madder when combined with Stack Lead White make a beautiful flesh tone one that a serious portrait artist can’t live without. Finally, the wonderfully subtle Italian Green Umber with the soft subtle brown undertones is a worthy addition for the landscape painter. Regarding tips and tricks, as an example put my Italian Green Umber alongside any of my reds to get the play on the complimentary. It’s been said by many artists who use your materials that there’s no need to include a medium as the paints are so perfect already. Can you tell us about the mediums available in the Cass Art pack and what elements they bring to working with the paint? · Beeswax paste is added to a paint to give it body and increase the impasto brush stroke. · Dammar varnish is applied at least 6 months after a painting is totally dry and gives the painting a moist, glowing appearance enhancing the colours and at the same time providing a protective coat against atmospheric dirt. · Oil Paint Medium (PM1) is added to the paint to increase its flow and translucency. It will naturally thin the colour making it more transparent for artist who desires more translucency in their paintings. What accessories would you deem essential to an Oils enthusiast, not only the paints but materials such as paper and brushes too? A bottle of wine and a mirror. The wine is obvious it is inspiration medium and increases the relaxation of the artist. The mirror is a fantastic tool for assessing the design and drawing of any painting be it figurative or non-figurative. Michael Harding will be at Cass Art, Islington from 12pm-1.30pm on Saturday 7th December to give a talk and demonstration of his new products. If you can’t come along on the day, the offer will still be available to online customers at www.cassart.co.uk. Check out Michael Harding’s website for more information on the history and technology behind his paint-making.